On August 2, 2018 Mentoring Inspiring Women in Radio (MIW) announced they are bringing back the “C-Suite” panel to the 2018 Radio Show. 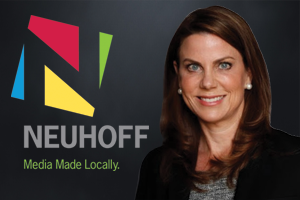 The “C-Suite Insights into Processes, People and Platforms to Grow Your Revenue” panel will feature four major executives in radio including Neuhoff Media’s CEO/President, Beth Neuhoff. Together they will share how they moved up the ranks into their leadership positions and how they are helping the next generation of leaders. The panel will be held on Thursday, September 27th from 10:30 am to 11:15 during the 2018 Radio Show in Orlando.